Have you noticed a theme around here lately? I have become a little obsessed with using up leftover Thanksgiving turkey. Thinking outside of the (bread) box has been my goal when developing these recipes. 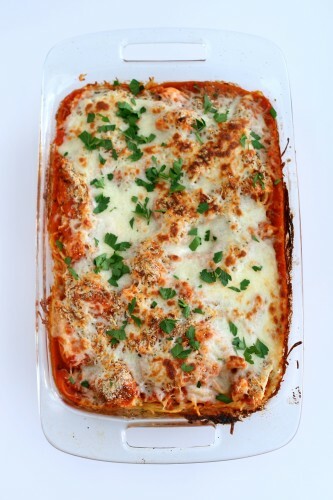 Poultry pairs so well with pasta and my family never complains when I serve pasta. 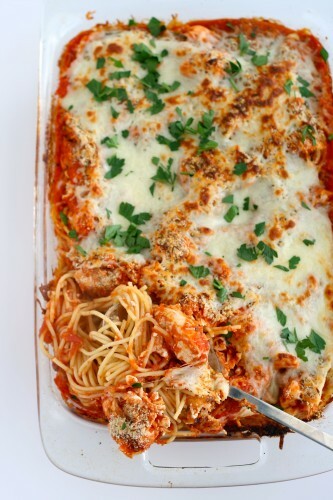 The title of this recipe is slightly misleading since I used turkey here but I figured most people would recognize Chicken Parmesan more so than Turkey Parmesan. This way you can easily swap turkey for the chicken and vise versa. 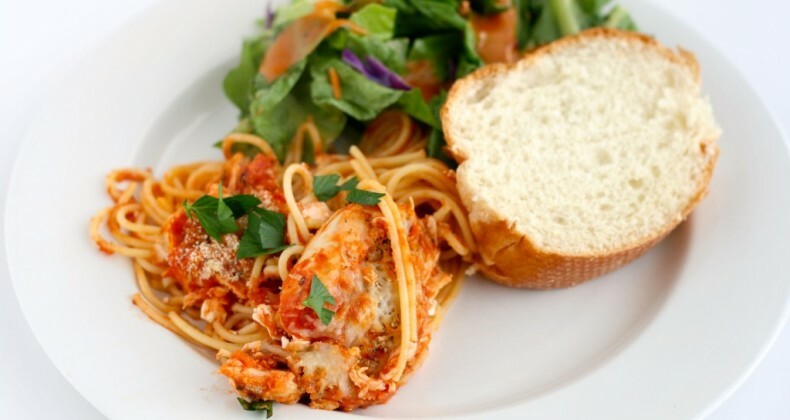 This is another one of those quick dinners since the turkey is already cooked. If you don’t have any extra turkey on hand you could poach a couple chicken breasts or use the meat from a rotisserie chicken. You can get this dinner on the table in less than 30 minutes. Yay! 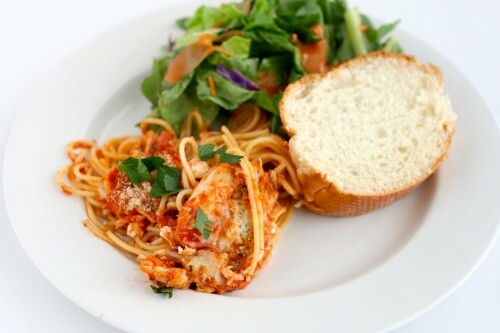 Chicken Parmesan is traditionally breaded and fried but since we are using sliced or shredded turkey (or chicken) it makes it difficult to bread and fry. So in order to get that breaded flavor, I sprinkled a little Italian bread crumbs combined with Parmesan cheese over top the shredded turkey. It worked! The flavor was there without the pesky frying. Yay! 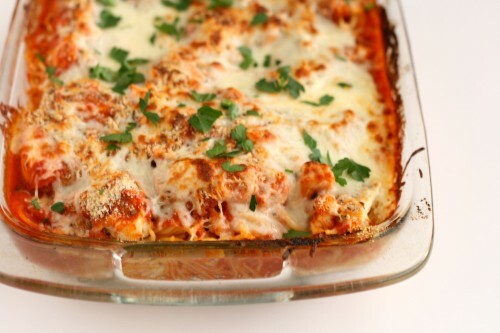 HOW DO YOU USE LEFTOVER TURKEY? Thanks Erin. It truly hit the spot. Oh this looks so unbelievable!!! Thanks Jocelyn my family said I could add it to the dinner rotation!